Nestled in north-east country Victoria, Wangaratta is a city that’s proud of its bustling café and wine culture, and the natural attractions that abound from its location at the foothills of the Alpine High Country. A 230km drive from Melbourne and just south of Albury-Wodonga on the border, Wangaratta has something to keep everybody happy. 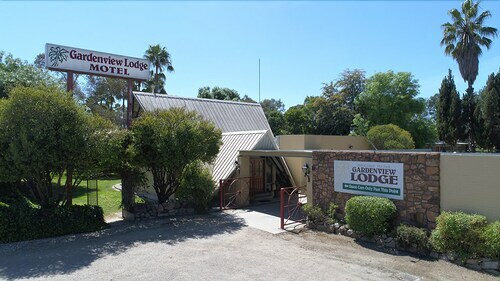 From holiday parks to motor inns and 4.5 star hotels, we’ve got the best range of Wangaratta accommodation to complete your stay! Established around the intersection of the Ovens and King Rivers, Wangaratta was discovered by explorers navigating the Ovens River in 1824. Like many river towns, it started out as a punt crossing, which drew people through the area. After being surveyed by Robert Hovell in 1848, the town was named Wangaratta, after the native Aboriginal words ‘wonga’ (resting place of the wonga) and ‘ratta’ (meeting place of the rivers). By 1863, Wangaratta had banks, flour mills, breweries, an inn, a racecourse and a number of churches. Today, the city has bloomed to a population of 18,000 and is considered the regional capital. To really get to know the city, take part in the Wangaratta Guided Walking Tour, which leaves from the Visitor Information Centre every Saturday at 10.00am. A local guide will take you on a journey through the city’s historic remains, give you some great insider tips and share stories that only a local could know. If you really dig museums and history, then also check out the Wangaratta Historical Museum. If museums aren’t your thing but you do love your wine, the Vine Hotel Cellar Museum might just change your mind. At the gateway to the north-east gourmet region, Wangaratta sits amongst a region renowned for its fresh produce and wine – with some of the highest altitude vineyards in the country. Brown Brothers, Chrismont and Ciccone are among the closest wineries to Wangaratta, with more awaiting you along King Valley Prosecco Road. Beer-lovers, don’t frown. Boutique beer brewers also call this region home. While you can get here by rail or bus – or by flying into nearby Albury – you really need a car to enjoy what’s on offer in the region. If you don’t make the drive, via the Hume Highway, the scenic Great Alpine Road or the Murray Valley Highway, then car hire companies are available locally. Once you have wheels, you can also set off to explore the Warby Range State Park, Mt Buffalo and Salisbury Falls. There are bushwalks, bike rides and wildlife-viewing opportunities to get your heart racing – or settle back and explore the gold rush township of Eldorado. One last thing you just can’t miss is the Ned Kelly Touring Route. With Glenrowan just south of Wangaratta, it’s the site of the Kelly Gang’s last stand-off. Where else in Australia can you find this piece of Australian history? With all that history, wine and natural beauty on its doorstep, Wangaratta is the perfect place to get to know country Victoria. So wot are you waiting for? 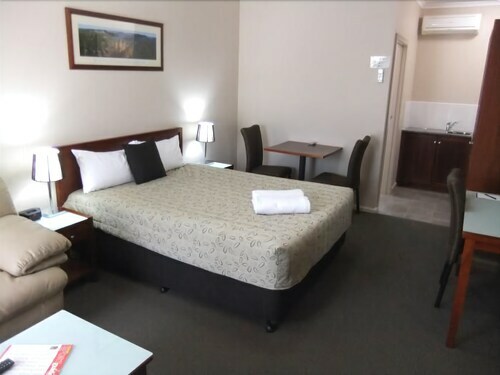 Book your Wangaratta hotel with us today! How Much is a Hotel Room in Wangaratta? 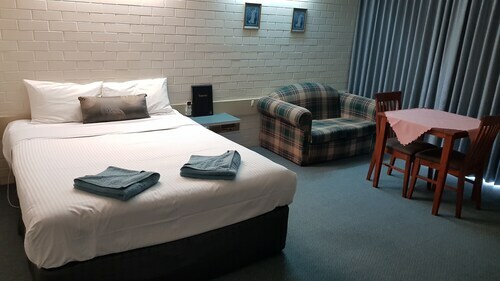 Hotels in Wangaratta start at AU$95 per night. Prices and availability subject to change. Additional terms may apply. The hotel was close to the main shopping area and the larger supermarkets Woolworths and Aldi is just across the road. The hotel itself was clean, good size room, modern, it had a microwave, toaster, kettle, Mini bar, great tv reception and in house movies. We would stay their again. Could not fault it at all. The hotel had a great pool as well just a pity it wasn’t sola heated. Walking distance to food and shops. Comfortable, not expensive.